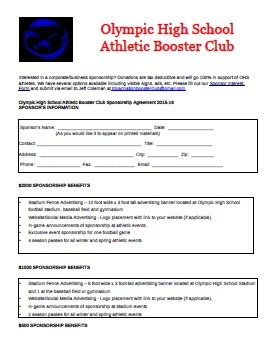 (September 5, 2014) The Olympic High School Athletic Booster Club is looking for area businesses that can provide sponsorships and support for the Trojan athletic teams. The Olympic Boosters have been reaching out to numerous businesses in the area but have struggled to get responses and support. Most support actually has come from outside the Steele Creek area. It is very important to help provide resources to our young athletes that are competing against the Audrey Kells, Mallard Creeks, and South Mecks of the world. Athletics help keep student-athletes engaged and active. Some will go on to participate in college and beyond. Others will learn the value of hard work, discipline, and team work that can be applied in all phases of their life while also making lifelong memories and friends. Donations are tax deductible and will go 100% in support of OHS athletes. Sponsorship levels range from $250 to $2000. All levels include football stadium fence, baseball stadium fence, or gymnasium advertising options with banners ranging from 5 feet to 10 feet wide. Other benefits include website/social media advertising, in game announcements, event sponsorships, and athletic season passes. 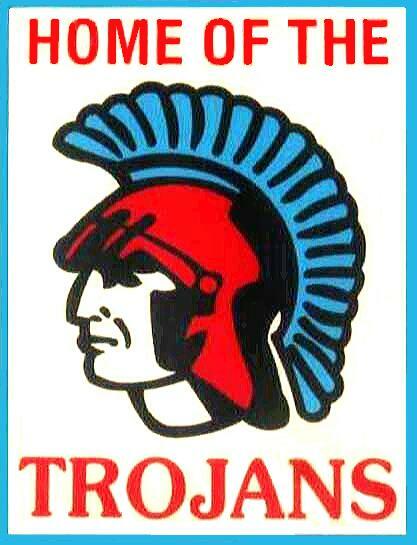 Please direct questions to Jeff Coleman at trojannationboosterclub@gmail.com or 704-287-7667.